Monet's Garden at Giverny is France's most visited garden. The stunning gardens of Versaille. Villandry - the most famous vegetable garden in the world! 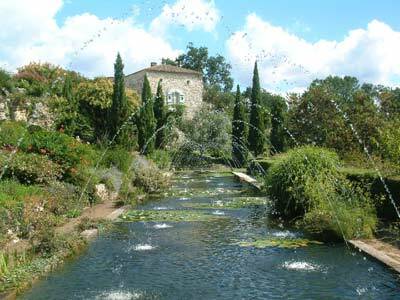 Discover the best gardens France has to offer. 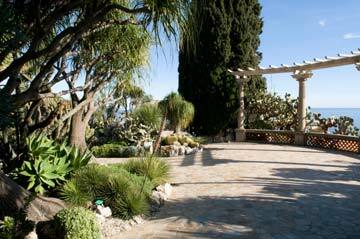 With hundreds of gardens to choose from our guide helps you to choose and locate the best gardens for you to visit. 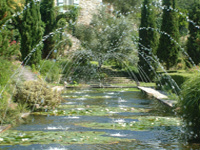 France has some truly amazing gardens and you should try to incorporate some garden visits to any trip to France. These gardens range from the traditional French style of very formal bedding schemes often seen in the gardens of large chateaux such as Chateau de Versailles and the Chateau de Hautefort, to the smaller more relaxed planting schemes which are becoming increasingly popular. Because France is such a large country the variety is enormous, from the wetter, cooler north where many gardens use very similar plants to those of the UK, to the dry and hot meditterranean regions of the south-east with a big emphasis on lavender and other aromatic plants adapted to the dry hot conditions. And of course the mountain regions offer the potential to see lots of alpine plants in their natural settings. This garden guide allows you to discover the gardens you can visit in France with a description of each garden and its location and visiting hours. There are a wide range of French gardens open to the public. These include the traditional formal gardens, laid out in the French garden design style in the grounds of French chateaux; and the medicinal, herb and decorative vegetable gardens which became very popular in France in medieval times. There are also many 'English style gardens' and gardens using the very natural style of planting which has become popular in recent years. See this section for some of my preferred plants for use in the garden. 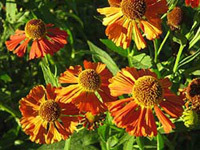 Find suggestions for Mediterranean plants, especially well adapted to the dry summers we often experience now, and also the ideal plants for the borders and a range of perennials that allow you to keep up interest throughout the year. Architectural plants are useful dotted around to add interest and make a statement in your garden. A month by month look at the work that needs to be done in the garden. This section is a guide to the different jobs which are essential throughout the gardening year. When designing a garden it is a good idea to have a style or theme in mind. This could be a style such as creating an exotic garden or it could be related to the time of year when you want the garden to be at its best such as a summer garden. Please also visit France This Way (our parent site) for things to do in France near your selected gardens!